Earlier this week, Jag Forms headed to their first event with the Portland Business Alliance. 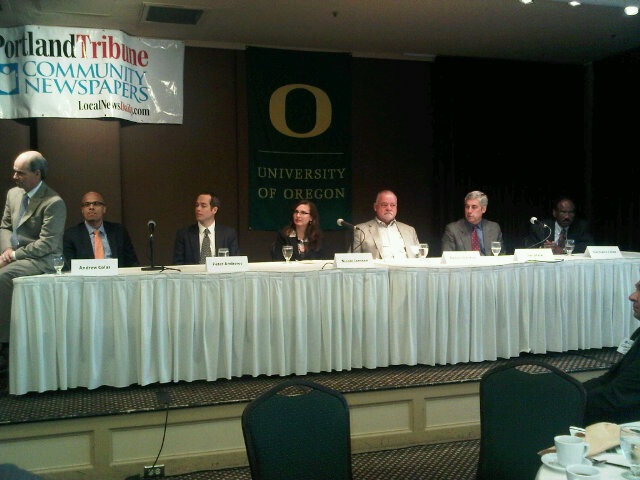 The event on Wednesday was part of the Alliance’s Breakfast Forum series. The topic? Family businesses. When my dad, Jeff, started Jag Forms in 1986, it was with the idea that he wanted to become a small business owner and work for himself. He never imagined Jag becoming a family business. But when I joined the company in April, that’s exactly what happened. So it was a fitting topic for our first foray into the Portland Business Alliance. Think about it. If you treat your employees like you treat your family, you wouldn’t have any employees. And while all three companies focus on very different industries — the speakers all had one thing in common: they love what they do. And that’s really the key to a successful family business. It only works if you’re passionate about it. Because this isn’t just a job. This is your family. That’s the drive behind our passion at Jag Forms. This isn’t just our business — this is our family. So you can expect a better level of service from us because we are that much more invested in what we do.